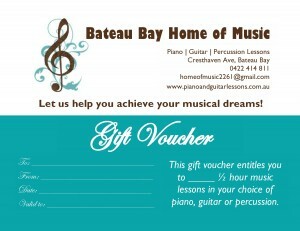 Bateau Bay Home of Music currently consists of two qualified, professional and experienced musicians and teachers, Simon and Adrienne Townsend. They love to create music together in their Central Coast home and enjoy sharing this passion for music with their students. Getting here: Bateau Bay Home of Music is easy to get to. 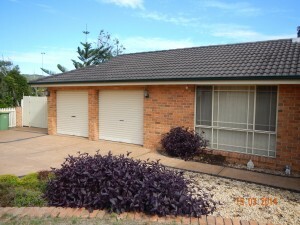 It is located on Cresthaven Avenue, Bateau Bay, right next to the Pat Morley sports fields. There is ample street parking at all times of day and night for students and parents. If you don't drive, there is a bus stop right outside the door! Parents: Parents of children getting music lessons are welcome to sit in the lounge area for the duration of the lesson and observe the lesson or can pick up their child at the end of the lesson. Safety: All our teachers have a current Working With Children Check (WWCC). Simon studied guitar at The Australian Institute of Music in 1992-93 and has been playing in both original and cover bands ever since, with a focus on contemporary music. 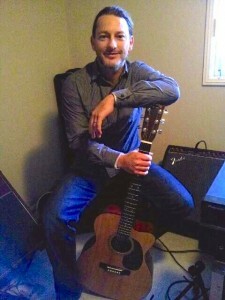 He has been teaching guitar on and off since he was a teenager, in various music schools and privately. He is also an accomplished percussionist focussing on Afro-Caribbean and Latin percussion including congas, bongos and djembe. Simon is also a qualified Audio Engineer and worked at the Sydney Opera House for the past 7 years. He currently works at The Art House, one of the Central Coast's leading performing arts venues. 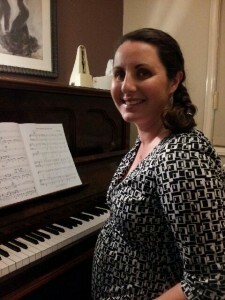 Adrienne has been playing the piano since she was 7 years old and has been teaching piano in music schools and privately for over 8 years. Music has been part of her life for as long as she can remember as her family were all very musical. She was qualified through the Australian Music Examination Board (AMEB) at the Sydney Conservatorium of Music. She loves playing contemporary and classical music from Queen, Billy Joel, Missy Higgins and Adele to Beethoven, Debussy and Chopin.